PW Pizza wised up and realized they should probably serve some food with all the beer tastings!! Once again, IPAs were the featured beers for the night as we got to try their Slow Ride Session IPA and the Rampant Imperial IPA. Yet, my favorite beer of the night was the new Snapshot Wheat because it was so light and easy drinking. I think it'll be perfect for the summer too. Unfortunately, I did not have my personal photographer with me this time so I forgot to take pictures besides the menu and dessert course. The Snapshot Wheat was paired with an Almond & Arugula Salad while the IPAs were each paired with a pizza. The Thai Chicken Pizza was covered in pineapple, so that was an excellent pairing with the big citrus flavor of the Slow Ride Session IPA. This beer was not too bitter for an IPA and was easy drinking and food friendly. The Rampant Imperial IPA was a lot more bitter and so that was paired with the Spicy Hot Capicola Pizza, although it was just a few pepper flakes to add heat. It did to help cut through the sausage on top. I just wanted to skip to dessert, a Chocolate Almond Tart that was incredibly decadent!! 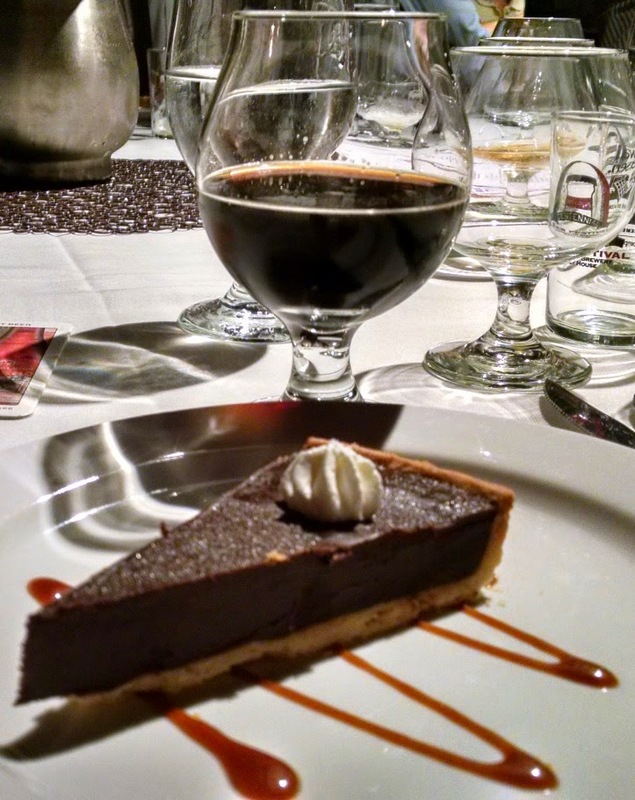 Well paired with a Portage Porter, which could be dessert in itself! 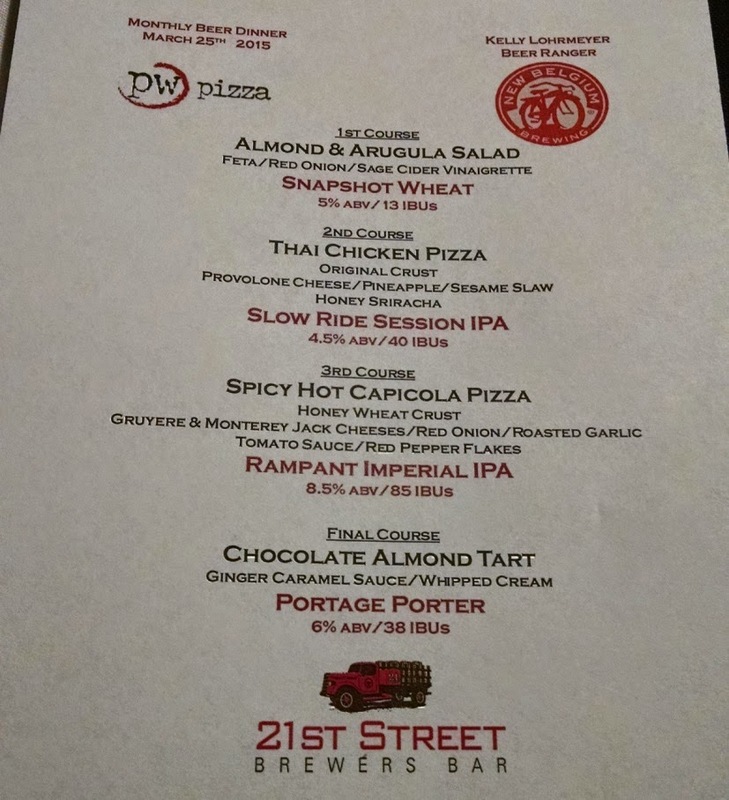 PW Pizza has already announced their beer dinners for the year so let me know if you're interested in signing up for one each month!